We have had lots of games to recap. Game On! 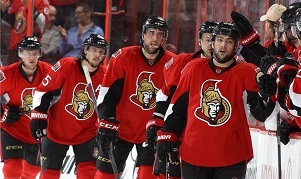 Cowen hasn’t had the best couple games in the top 2 and we break down the defence. Kassian also gets more discussion than ice time. Spezza haters get facts thrown at them and we look at Bingo and the game played up in Ottawa. We get lots of e-mails and get ready for a couple weeks of. Enjoy the Olympics!